Baratunde Speaks at the March for Science in San Francisco. Baratunde reports as a correspondent on UK satire show Unspun with Matt Forde. 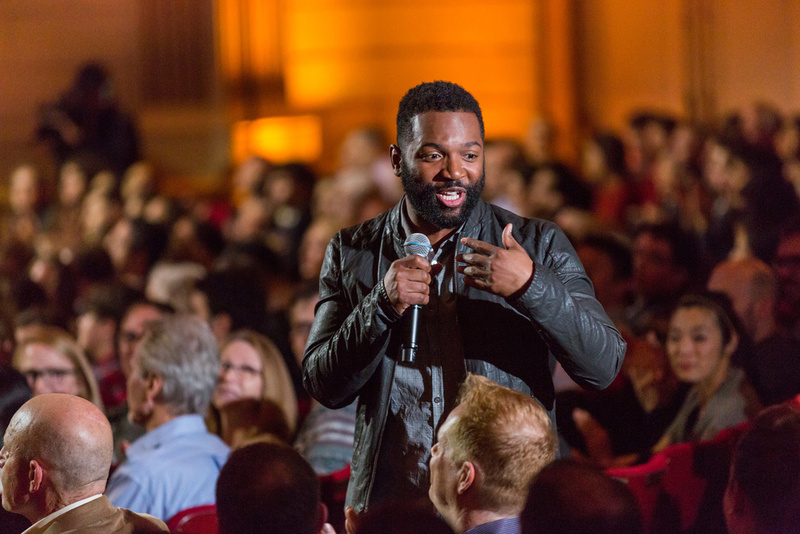 Baratunde discusses how the birth of the internet and the loss of his mother influenced his mission to inform and entertain through the lens of comedy. Baratunde accepts the Hall of Fame Award at SXSW Interactive. Baratunde is a panelist on Real Time with Bill Maher, discussing comments about race made by FBI Director James Comey. Baratunde gives a talk on “Hacking Comedy” at TEDxKC. Baratunde does a red carpet interview before the Television Academy's "An Evening with Norman Lear" event at the Montalbán Theatre in Hollywood. Baratunde delivers the opening keynote for SXSW Interactive on the subject of the power and necessity of comedy in the worlds of technology, politics, and media. 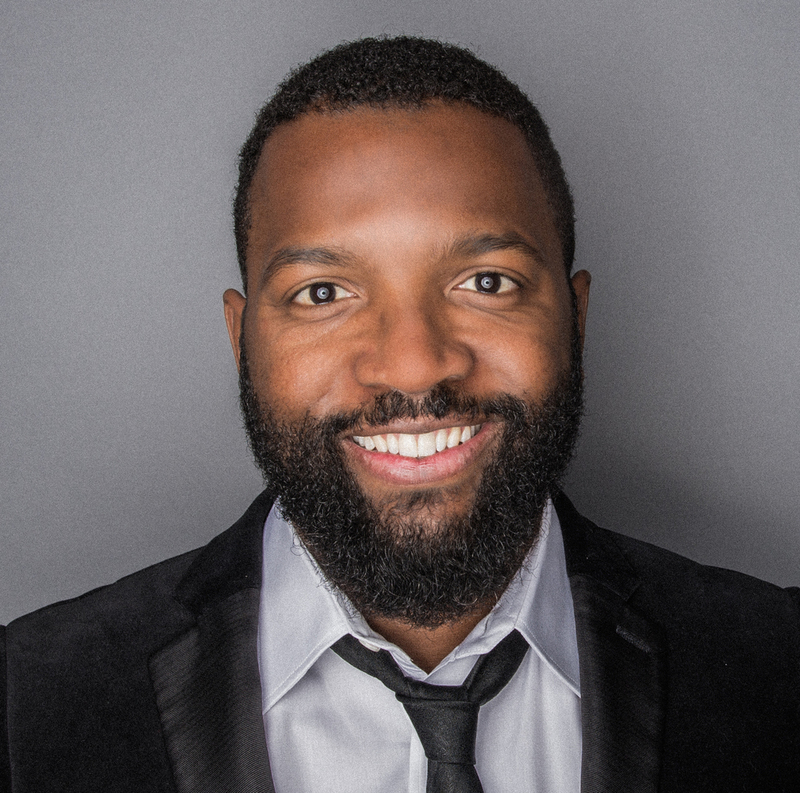 Baratunde Thurston is an Emmy-nominated futurist comedian, writer, and cultural critic who helped re-launch The Daily Show with Trevor Noah, co-founded Cultivated Wit and the About Race podcast, and wrote the New York Times bestseller How To Be Black. He is the host of the iHeartMedia podcast Spit and is a highly sought-after public speaker, television personality, and thought leader who has been part of noteworthy institutions such as Fast Company, TED, the MIT Media Lab, The Onion, and the gentrification of Brooklyn, New York. Baratunde has an uncanny ability to crack the shell of any uncomfortable topic through a personal, accessible, and intelligent point of view. With an ancestry that includes a great-grandfather who taught himself to read, a grandmother who was the first black employee at the U.S. Supreme Court building, a computer-programming mother who took over radio stations in the name of the black liberation struggle, and an older sister who teaches yoga at her donation-based studio in Lansing, Michigan, Baratunde has long been taught to question authority and forge his own path. It helps that he was raised in Washington, D.C. under crackhead Mayor Marion Barry. His creative and inquisitive mind, forged by his mother’s lessons and polished by a philosophy degree from Harvard, have found expression in the pages of Fast Company, the screens of HBO, Comedy Central, CNN, MSNBC, BBC, the sound waves of NPR and roughly one bajillion podcasts, including Our National Conversation About Conversations About Race, which he co-founded. He has hosted shows and stories on NatGeo, Discovery's Science Channel, Yahoo, AOL, YouTube, and Pivot TV. In 2016 he hosted a special three-part PBS series of TED Talks and earned a Daytime Emmy nomination for the Spotify/Mic series, Clarify. 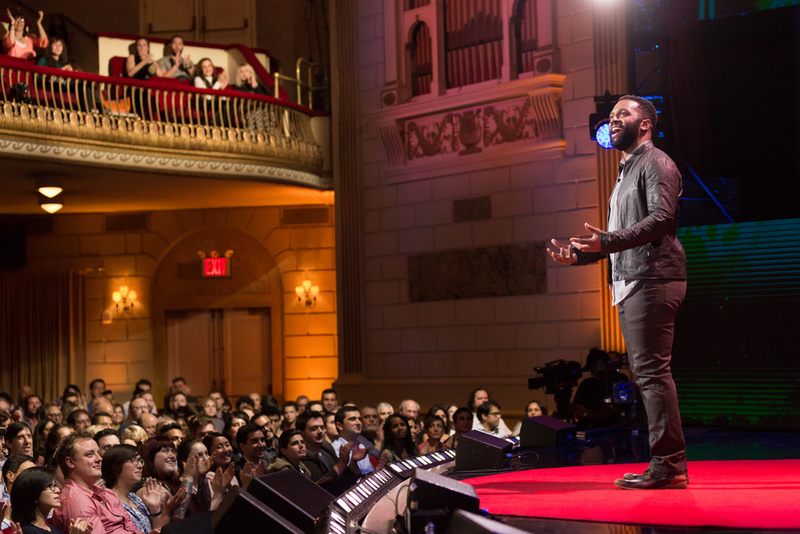 Far from simply appearing in media, Baratunde is also helping define its future. In 2006 he co-founded Jack & Jill Politics, a black political blog whose coverage of the 2008 Democratic National Convention has been archived by the Library of Congress. From 2007 to 2012, he helped bring one of America's finest journalistic institutions into the future, serving as Director of Digital for The Onion then did something similar as Supervising Producer for digital expansion at The Daily Show with Trevor Noah. He has been a judge for the Knight Foundation News Challenge, an affiliate at the Berkman Center for Internet and Society, and a director’s fellow at the MIT Media Lab. His book, How To Be Black, was published by Harper Collins in February 2012 and is a New York Times best-seller. In 2012, he co-founded Cultivated Wit, a comedic digital company on a quest to merge comedy and technology into a new genre of creative expression, with Brian Janosch and Craig Cannon. The company produces Comedy Hack Day during which developers and comedians collaborate to make intentionally funny tech projects that humanize technology while offering social commentary on the world at large. 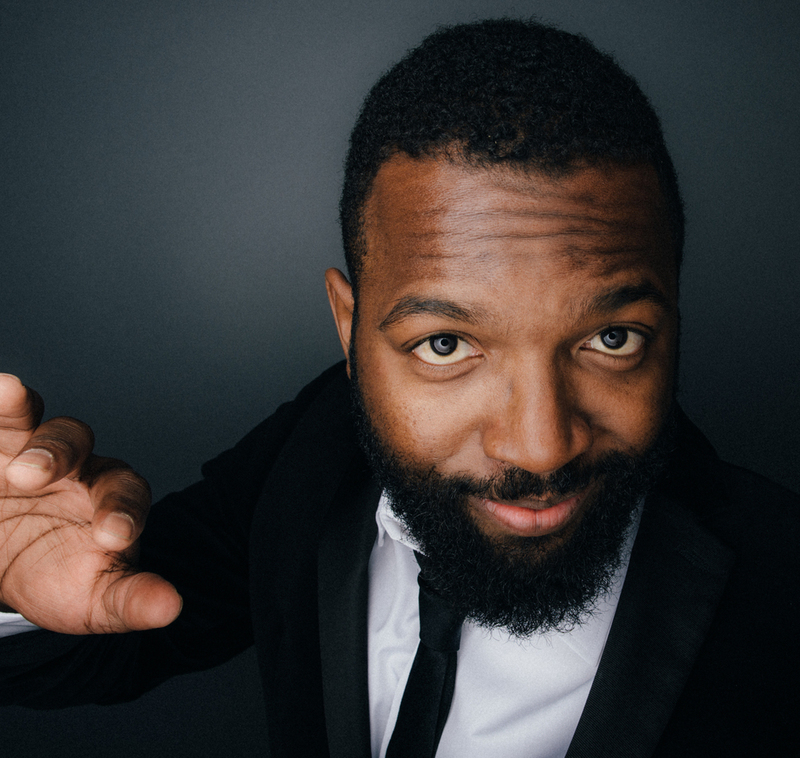 The ACLU of Michigan honored Baratunde “for changing the political and social landscape one laugh at a time.” He was nominated for the Bill Hicks Award for Thought Provoking Comedy. The Root named him to its list of 100 most influential African Americans, and Fast Company listed him as one of the 100 Most Creative People In Business. He has advised the Obama White House and serves on the National Board of BUILD, an organization that uses entrepreneurship-based experiential learning to propel underserved youth through high school on to college and career success. He also serves as an advisor to Civic Hall Labs and the Data & Society Research Institute. When he’s not staring at glowing rectangles, Mr. Thurston, which he goes by toward the end of his bio, cooks, does yoga, and punches bags designed for that purpose. Mr. Thurston has traveled heavily within and beyond the United States and lives in Brooklyn, New York.